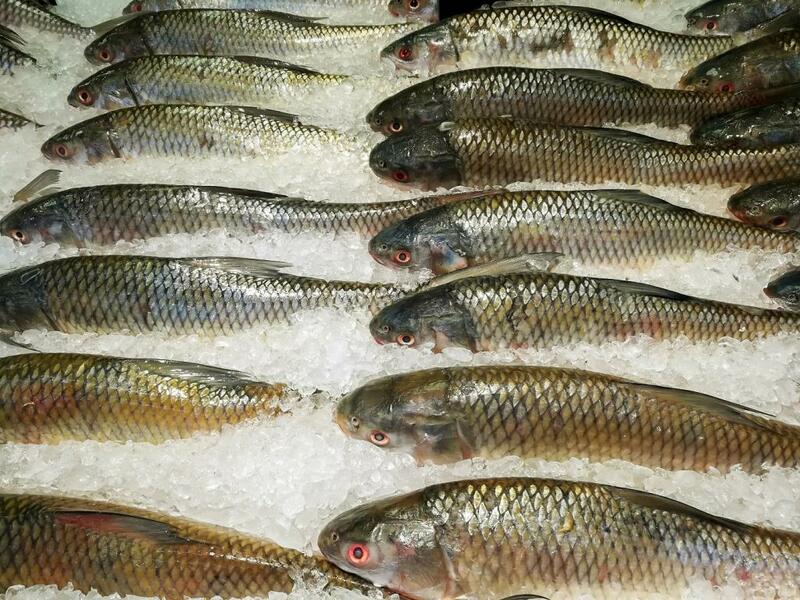 Bihar's heath department Monday imposed a blanket ban for 15 days on sale of fish from Andhra Pradesh and West Bengal in capital Patna after samples were found to be contaminated with formalin. A notification has been issued in this regard. “A decision was taken to ban fish from Andhra Pradesh and West Bengal from health point of view after laboratory reports confirmed that they (fish) were contaminated with formalin—a cancer causing chemical, used to preserve the fish,” says Sanjay Sinha, health department principal secretary. “Fish with formalin should not be consumed. Apart from formalin, traces of other heavy metals like lead, chrorium and mercury was also found to be more than normal levels in the samples,” he adds. The ban includes storage and transportation of fish from Andhra Pradesh and West Bengal. “Anybody found violating the ban would face a prison term up to seven years and a fine of Rs 10 lakh,” he says. The ban is currently enforced only in urban areas of Patna and could be extended to other places. A central laboratory in Kolkata found formalin in seven of 10 samples sent last October, officials said. With samples collected from Patna testing positive, the government has now decided to collect fish samples from different districts and test them for the same. If found positive, the ban would be extended over the entire state. According to fish traders, a truck load of fish from Andhra Pradesh takes at least three to four days to reach Patna, and the same takes two days to reach from West Bengal. Hence, traders use formalin to keep the fish fresh and intact during transportation. Bihar fisheries director Nishat Ahmad says that the annual demand for fish in Bihar is 6.42 lakh metric tonnes. Bihar’s own production of fish is around 5.87 lakh metric tonnes a year. Annual demand supply gap is around 55,000 metric tonnes. Most of this gap is filled through the supply from Andhra Pradesh and West Bengal. “Fish traders from Andhra Pradesh mainly use formalin as preservative instead of ice,” says Ahmad. Bihar animal and fish resources minister Pasupati Kumar Paras claimed that there would be no shortage of fish in the state. “We are producing enough fish for consumption and if there are any reports of shortage, government will ensure not to send local fish to neighbouring Nepal or other states,” he says. Paras claimed that it was his department that recommended the ban to the health department after formalin was found in samples from last year.